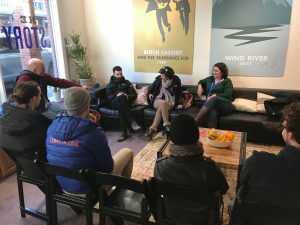 Local students are the largest group of volunteers at the Sundance Film Festival – many of them film students dreaming of bringing their own films to Park City someday. 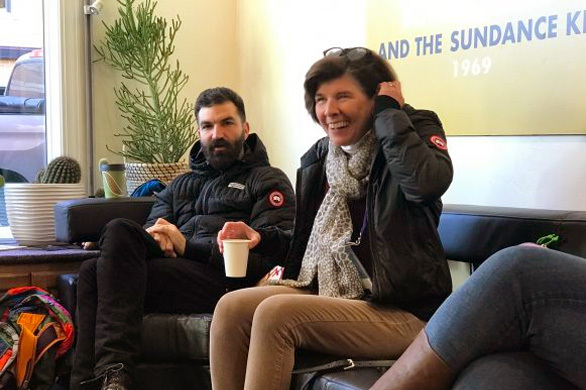 The Meet the Filmmakers series is a chance to connect students with working filmmakers, so they can pick the filmmakers’ brains on how they created their films, and built their careers. 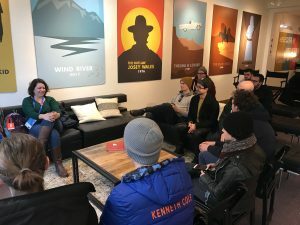 The Film Commission on Main hosted Duane Andersen, Assistant Professor of Digital Cinema Production at UVU, and several of his students, as they chatted with Jenny Mackenzie, director of Quiet Heroes, Amanda Stoddard, co-director and producer of Quiet Heroes, and Jerimiah Zagar, director of We the Animals.